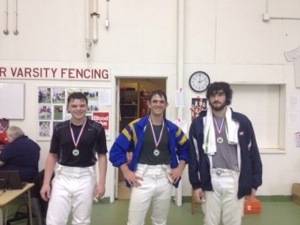 This past weekend Hudson-Berkshire Division held it’s Junior Olympic Qualifiers at Vassar College in Poughkeepsie. This year’s Jr Olympics will be held February 14-17, 2014 in Portland, OR. The Jr Olympics are an excellent opportunity for Junior and Cadet aged fencers to compete with the best from around the country. If you qualified and plan on attending the Jr Olymics, remember to register on usfencing.org by January 20, 2014.